I actually first saw this set at a friend’s house. It belonged to her son, and I thought it looked great, so I decided to get one for myself. 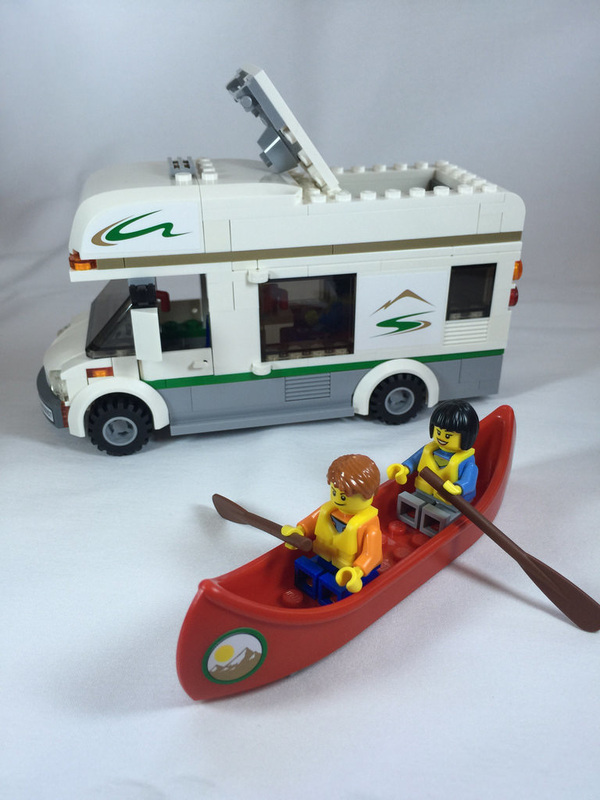 It looks pretty neat, with a fully kitted out interior, roof rack for the canoe, and storage compartment for the life vests and paddles. Inside the box will be two parts bags, two instruction manuals, and a sticker sheet with 10 stickers. 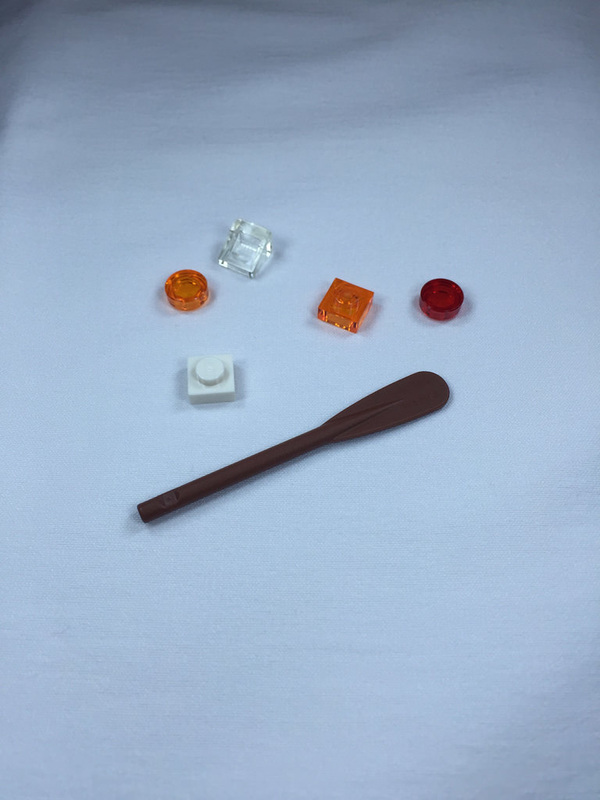 This set brings back the red canoe, which hasn’t been seen in a long time! A canoe in orange-brown is in 79107: Comanche Camp from The Lone Ranger theme, but the red is a little more special. 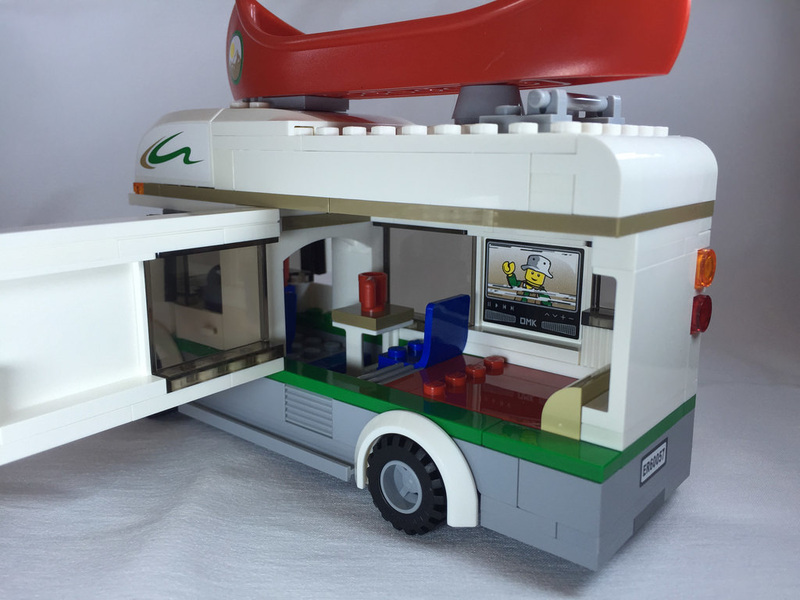 Now Brickset.com says that the Camper Van is the only one to have element 6021 in bright red, but that’s not actually correct. Back when I was a kid, I had a bunch of the Pirates Islanders sets. These came out in 1994, and three of the six sets had a canoe in bright red. I found my old one and it is identical (except for the stickers). 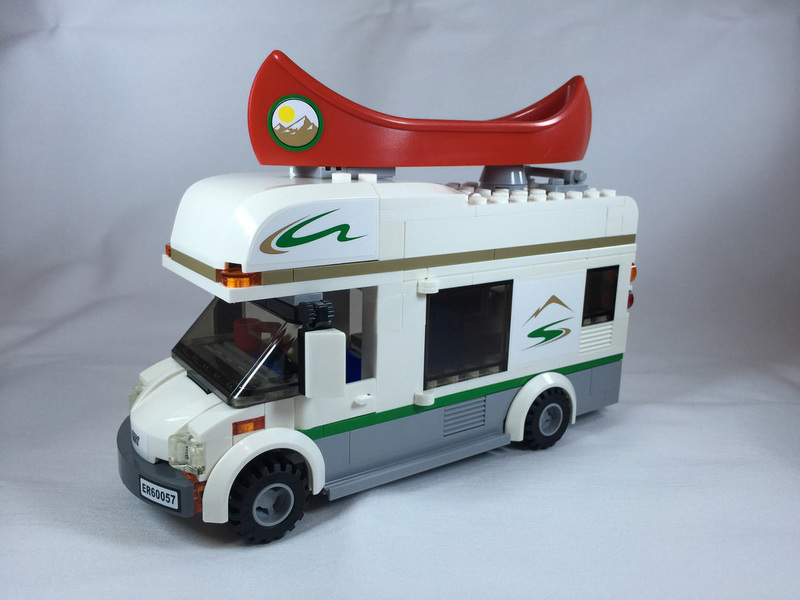 The front end for the vehicle is also new in white, and the 1×3 tiles in dark green were introduced with this set also. 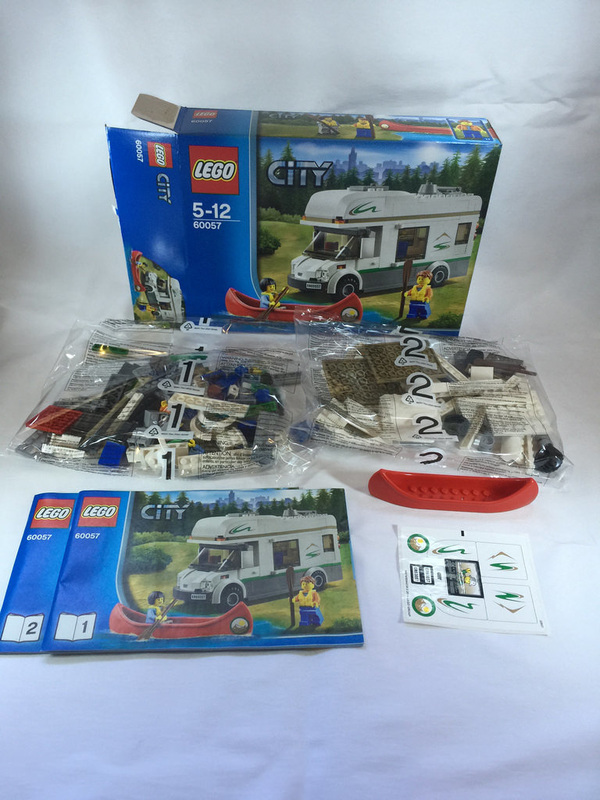 This part is now available in the newly released 60097: City Square, which I’d love to get my hands on, but that’s for another time. Other parts are pretty standard, but come in good or new colours, like the trapdoor and frame introduced in white. One gripe with the parts is the life jacket. This set includes the new design introduced in 2010, with the old, wider necked design leaving us in 2008. The main problem with the new design is the rather large gap it creates between the minifigure’s head and torso. This was never a problem with the original design, but on the other hand, I do like the design of the new one. It looks much more realistic on the minifigures and much smaller. 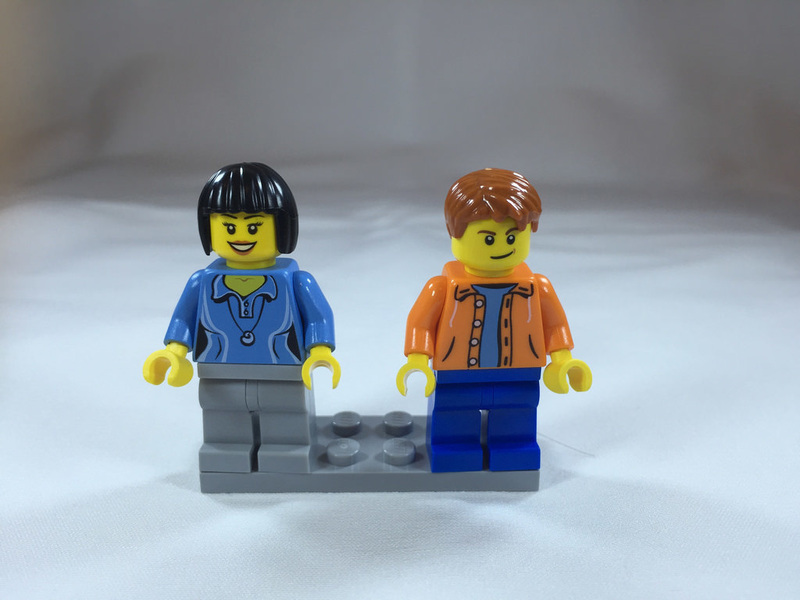 Speaking of the minifigures, you get two of them – a male and a female. The male is pretty standard, with a smirk on his face, brown hair, blue pants, blue t-shirt and an orange hoodie. Both minifigures have back printing. The female is smiling, and has grey pants and a blue top. I’m not a big fan of the short hair on this one. It looks a little odd. This build is pretty standard. Nothing special with it, but what you build is quite good. The interesting part of the build is most likely the interior. It’s a bit cramped, but what camper van isn’t a bit of a squeeze. I particularly like the TV. Yeah, it’s a sticker, and stickers are horrible, but it’s still a nice little addition. It’s a shame there is only one chair at the little table, but there simply isn’t enough room to really deck it out. The roof is able to be removed, as well as the wall’s ability to open, so the interior is extremely accessible. 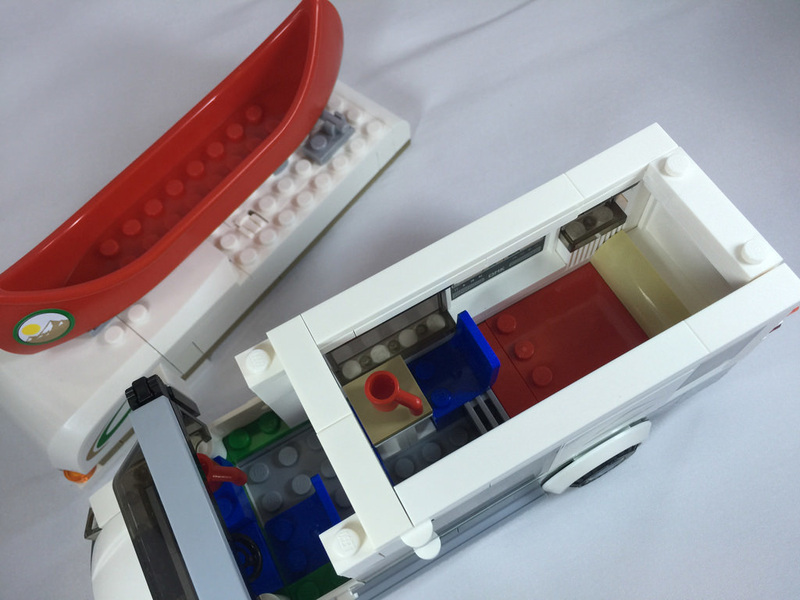 I also quite like the compartment for the life vests and oars on the roof. It makes for a very cool looking vehicle that would look great in a forest/camping MOC. This set gets 8.5 out of 10 paddles. If the life vests were a little better designed, and maybe the interior of the van laid out different (sure, it’s always going to be a problem with a six-stud wide vehicle, but a guy can dream), then it would get a bit higher. 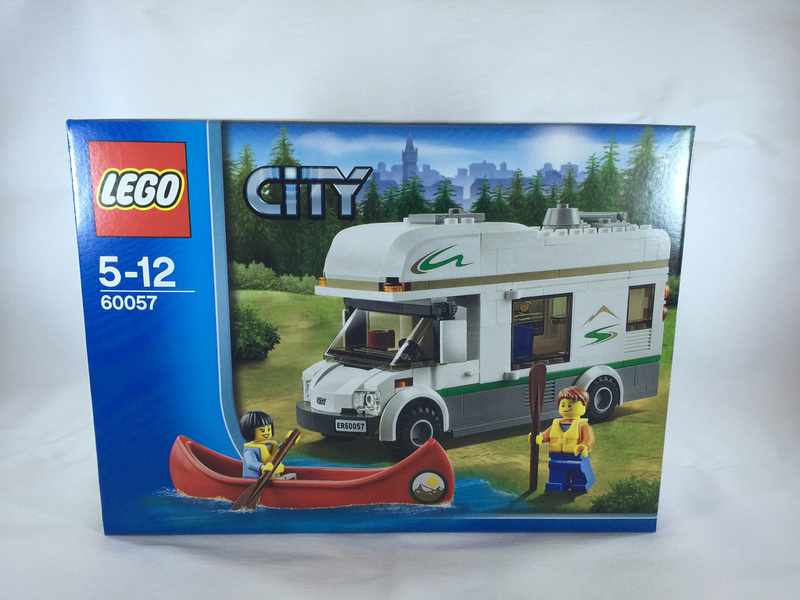 It’s a pretty good looking set, albeit a small one, has some good playability, and is a good addition to a city scene. Next week I’ll return to LEGO Star Wars with 75034: Death Star Troopers, a battle pack! Don’t forget you can leave a comment sharing your thoughts on the set, and like and share on Facebook!